The Review: Maarten is desperately trying to outdo his brother's latest epic, the Apocollapse, with his own, space-themed epic. The start takes you right back to E2L2 with Duke approaching a massive space station. Of course, this time around things look a "little bit" more detailed. 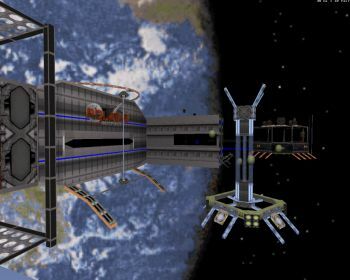 So, it's not a novel idea, but the exteriors of Maarten's space station remain a sight to behold; many corners of the map provide plenty of big windows that enable you to get many good looks at the station's awe-inspiring exteriors (aside from a few sprites that come off as mere decorations). 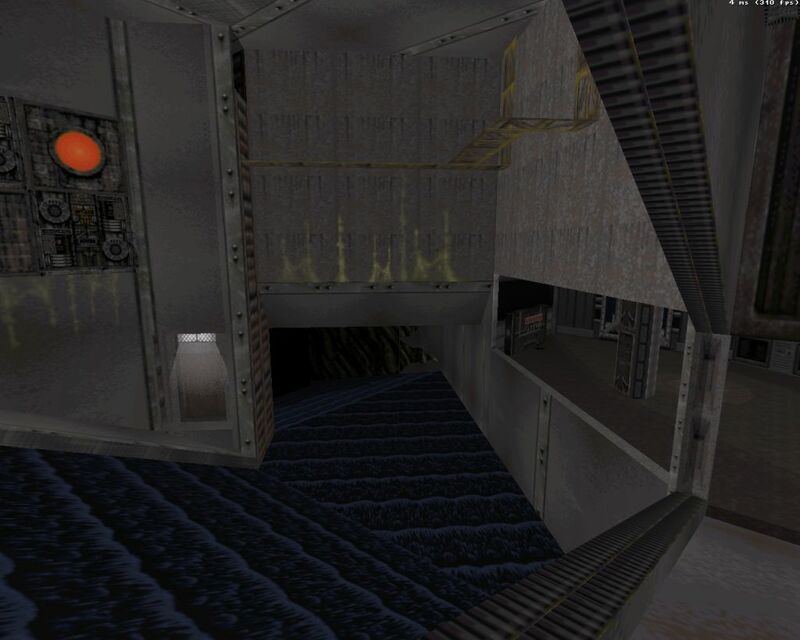 As for the map's indoor design, what I'm particularly fond of is how Maarten has made every segment of the map look different rather than catering to some generic space map design consisting of nothing but corridors and command centers. The map's layout is pretty open-ended and interconnected, seemingly tailored around its central gameplay mechanic: the player has to find four components with which to build a device, a task that can be done in any order. Considering this, it wouldn't be surprising if people had different experiences with the map's weapon balance, but generally speaking this map encourages you to alternate between the weapons you get rather than merely trying to stick with your shotgun & chaingun the whole time. Combat in this map is rather varied as well; while several sections rely on relaxed exploration and fighting small numbers of enemies, the bigger sections rely on encounters with larger mobs of aliens. This turned out very well for the map, sparing it from feeling monotonic. Also, in a true Oostrum fashion, there are again some cool little innovations, such as having to activate four crystals in order to activate a cannon. To wrap it all up, as a nice little extra Maarten has provided another custom-made music track to heighten the atmosphere aboard the station.